Okay, here’s one difference between the Chargers’ locker room and the Padres’ clubhouse: You are allowed to shoot video in the Padres’ clubhouse. You are NOT allowed to do this with the Chargers. 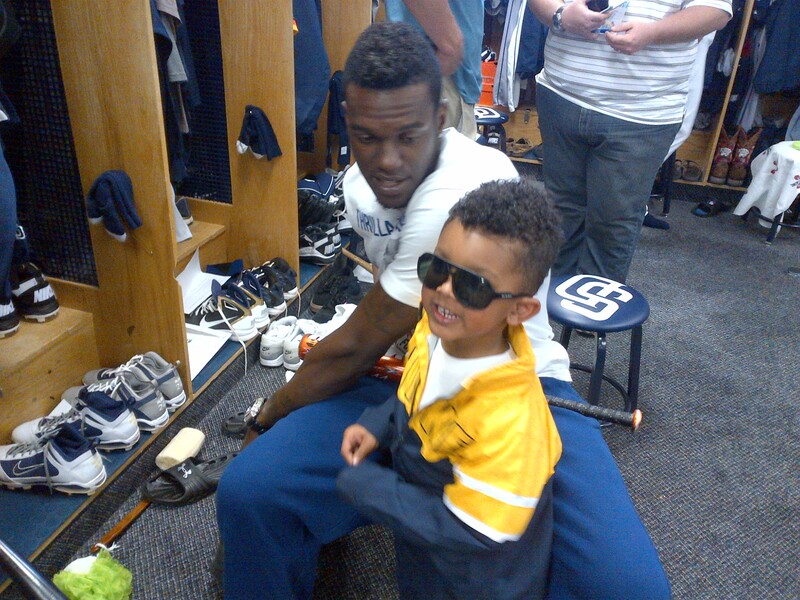 This is Cameron Maybin’s son, Trent. He has more swag in his pinky than I will ever have in my lifetime. Note the matching hair, too.